The ECB: Leaving the Euro? It Is not in the Treaty! 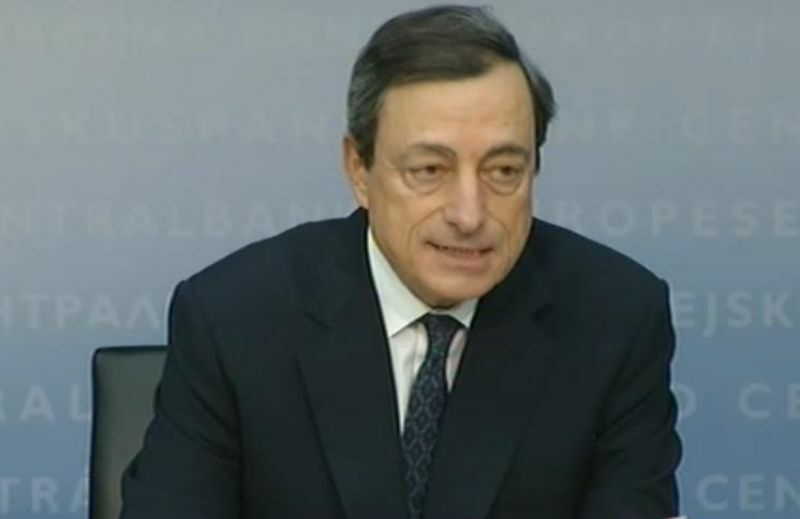 Mario Draghi made a flying start in his new role of a European central banker. His first action, although unexpected, was determined and, according to many analysts correct: the ECB has cut rates by 25 basis points to 1.25%. 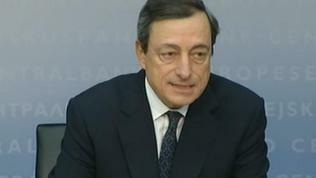 Speaking to reporters, Mr Draghi said that the decision was taken unanimously, which means with Germany's support. It is justified by the "mild recession" that is expected to loom by the end of the year, and the gloomy prospects for the economy because of the debt crisis. Although currently there is a 3% inflation in the eurozone, which is well above the 2% level set by the ECB, Mario Draghi explained that he expected next year the inflation to drop to 2% and less. Growth, however, would remain lower. 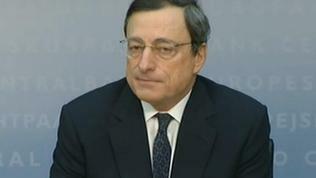 At his first press conference as ECB president Mario Draghi reinforced the impression he was making before. He was calm, confident and able to answer to all (and there were many) journalists' questions. According to The Financial Times, the news conference was attended by an unusual number of journalists - 170, mostly Italians. Moreover, unlike his predecessor Jean-Claude Trichet, Mario Draghi was speaking in a very concrete manner. Most of the questions were, of course, about the possibility Greece to leave the euro area. Mr Draghi replied to all of them laconically, but eloquently: "It is not in the Treaty." Although not in plain text, Mario Draghi supported the position of the Merkel-Sarkozy duo on the wording of the question that should eventually be asked at a referendum in Greece (which may not take place). He explained that he believed they had in mind rather specific questions about the rescue programme or measures to be applied by Greece, to ask a more general question about whether Greece was ready to perform its duties as a member of the eurozone. But he was firm in his insistence that a eurozone brake-up could not be discussed because such a possibility did not exist in the EU treaty. Another big issue was ECB's policy to buy debt of distressed eurozone countries. The reason, of course, was Italy which is again in the spotlight after it became clear that Prime Minister Silvio Berlusconi had failed to secure the approval of the Government of the necessary reforms and expected a no-confidence vote. Mario Draghi repeatedly stressed that this was a temporary and limited measure and it was pointless to believe that sovereign bonds rates could remain low only with external interventions. What is needed is countries to keep their finances in order and carry out structural reforms, Mario Draghi said. Asked whether Italy was able to carry out the necessary reforms and whether the ECB would still be forced to continue to buy Italian bonds, Mario Draghi replied firmly: "We are not forced by anybody, we are independent." Asked whether the ECB was ready to be a lender of last resort to the eurozone countries, Mr Draghi responded with a question: "Do you think that is what is needed? I do not think." 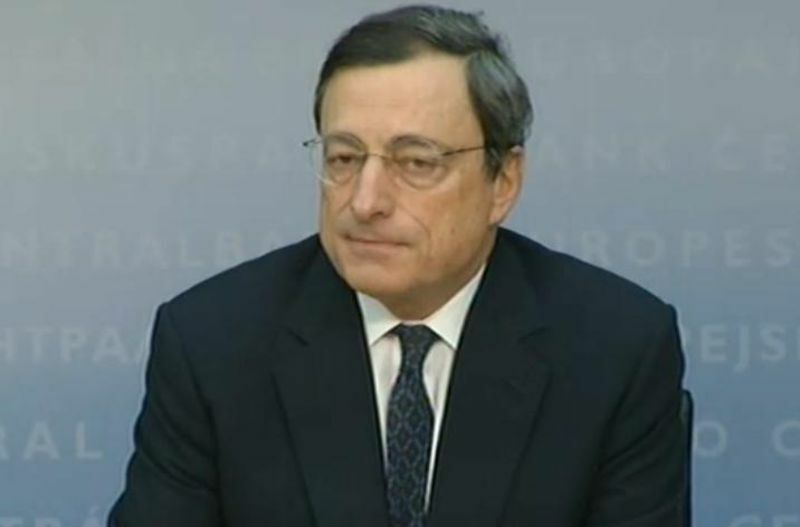 The remit of the ECB is to maintain price stability, Mr Draghi added. He repeatedly reiterated that what the euro area should make was not to rely on external assistance (including from the ECB) but to conduct right economic policies and structural reforms. As he outlined, especially essential were labour market and services market reforms. Mario Draghi said that his participation in the G20 summit would be his last as a chairman of the global Financial Stability Board because he would resign tomorrow (November 4). Rich European countries as Germany should understand that in order to be a king or Queen you should have followers. Followers in order to follow you they need to be happy or at least not starving. I think that it is as simple as that. Either rich countries within the EU should explain that to their citizens and convince them that in order for this new Kingdom (EU) to survive they should be ready to become 20-30% less rich to subsidise the poor for their basic needs until they catch up or there is no need for such big dreams! I don't say that things wouldn't be better if Greek goverments acted more responsible the last 25 years but this is what we have today. I think that it is time fore some in the EU wake up and face the reality!